These prototype boards are great for large or small projects. They have interlocking snaps on the sides and the ends so you can create a work space that is the perfect size for your circuit. 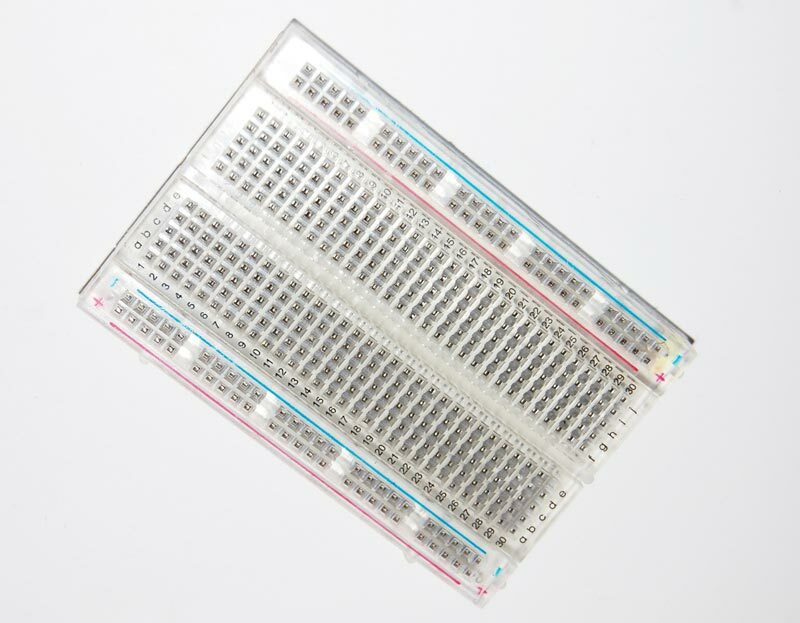 A solderless breadboard is a reusable plastic box with holes for inserting various electronic components to create and test new circuits. There are metal strips running under the holes in order to connect everything electronically. The holes are identified by numbered rows and columns. These boards may also be referred to as plugboards, prototyping boards, or design boards.